Five years ago, I launched MZ Strategies, LLC with the crazy idea that I could bring my passion and almost twenty years of experience in policy and planning to support partners who shared a desire to make communities more inclusive, economically-vibrant and sustainable. I benefitted from knowledge gained over the years while working with some of the best minds in the business – Congressman Earl Blumenauer, Shelley Poticha, Don Chen, Geoff Anderson, Effie Stallsmith, Rich Steinmann, Dena Belzer, Scott Bernstein, Nuria Fernandez, Dwayne Marsh, Janette Sadik-Khan, Bill Millar and many others. I come from a family of business entrepreneurs so starting my own consulting business seemed to be in my blood. From the start, MZ Strategies, LLC was designed to be a unique type of consulting business. Our work straddles systems change and planning, with one foot in the real world of project implementation, and the other foot in the more ethereal world of policy development and strategic planning. In my experience, this is the reality of community development whether the focus is a transit line, regional economic development, affordable housing, transportation finance, or transit-oriented development (TOD). Over the past five years MZ Strategies has worked with amazing non-profit, academic and philanthropic partners to produce cutting-edge research including best practices in metropolitan transportation planning, financing mixed-income housing, improving regional transit coordination, and successful advocacy of transportation reform; among other things. We’ve built close working relationships with public sector agencies as they deploy innovation solutions to address complex regional challenges, such as creating a more resilient regional economy in metropolitan Washington, DC, to establishing a new regional TOD program for the greater Minneapolis-Saint Paul region, to better understanding gentrification pressures and remediation tools in Portland, Oregon. New transit lines have opened, local ballot measures have been approved to fund transit and affordable housing, and I've somehow attracted almost 1,000 Twitter followers. Work has taken me to Berlin, Vienna, San Francisco, Portland, Oklahoma City, San Antonio, New York City, Phoenix, Seattle, Minneapolis and Saint Paul, Dallas, Chicago, Denver, and Boston. During this time our offices moved from Arlington to Richmond, VA, and we achieved DBE certification in multiple states. Through this work, we’ve learned much and continue to evolve to better face new challenges such as anti-displacement resulting from escalating market pressures in many of America’s most economically-robust regions. Climate resiliency, public health and diversified local and regional economies are issues that increasingly are being brought into our work on successful transit-oriented development. Private sector financing, including for green infrastructure, is becoming more common and communities are struggling with how to effectively evaluate proposals and develop projects to attract private capital. Procurement strategies and community benefit agreements are part of the new-norm in defining community impact and opportunity. And of course, new technologies are transforming transportation systems and land use in ways unimaginable when I started my career. 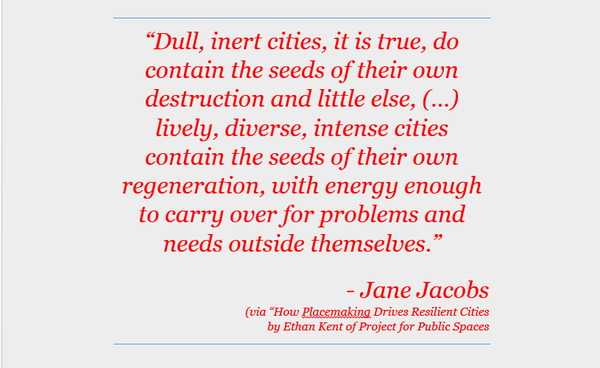 It is in fact this dynamism which belies my passion and excitement for the work of urban planning. Policies change, shift and adapt to face the problems and assets unique to every community, but common across the nation. Thanks to my amazing family for all their support, patience, pep talks and humor over the past five years. As MZ Strategies has grown, so too have my incredible boys. As I reflect on the past five years of accomplishments and partnerships, and look to the future I must thank the terrific contractors and graduate students who have been part of this journey: Luanda Fiscella, Justin Goddard, Patricia Happ, Zachary Krohmal, Grace Leonard, Kyle Lukacs, Chris Plano, Patrick Silva, Darren Smith, and Emily Thomason. You have my gratitude! Thanks also to our numerous clients. Special thanks to those who have worked with MZ Strategies on multiple projects during this time: the McKnight Foundation, the Natural Resources Defense Council, the Urban Land Institute, Enterprise Community Partners, the Ford Foundation, and Smart Growth America. Gratitude to Virginia Tech (especially my colleagues Joe Schilling and Ralph Buehler) who invited me to be a visiting fellow with the Metropolitan Planning Program in 2012-2015. MZ Strategies, LLC looks forward to working with all of you into the future, and engaging with new partners in new places to advance innovative solutions to create thriving, inclusive communities.